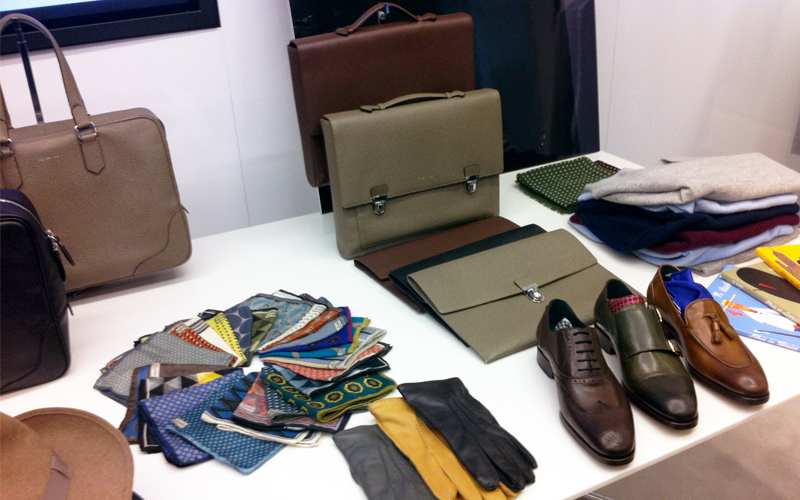 Reiss lifted the lid on their Autumn Winter 2013 collection this week and I was lucky enough to be attend the press day. 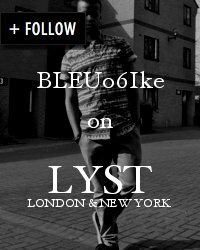 Reiss is one of the few British labels that deftly balances luxury, high end quality with much more affordable prices. My preview of the new collection started off with a Reiss benchmark: fine tailoring. I really liked the modern, slim fit silhouette for the season, cut in a variety of luxe fabrics and colourways. 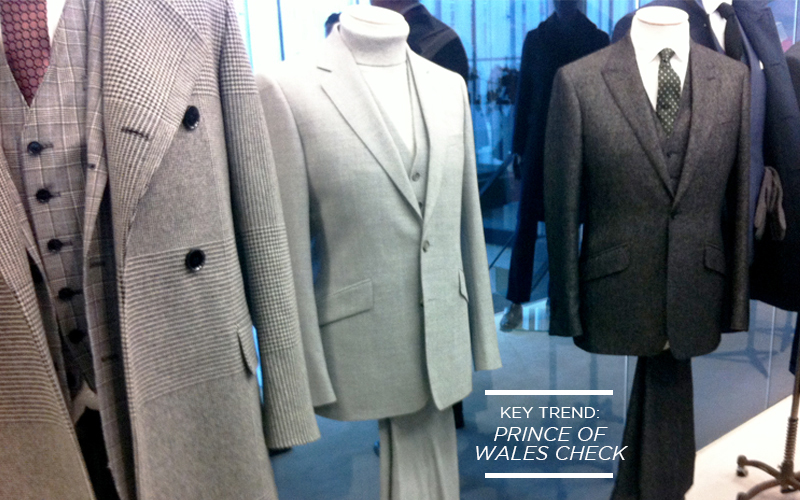 I was immediately drawn to a soft grey three piece suite in Prince of Wales check, styled with a matching houndstooth military overcoat. It's just quintessentially British and totally on trend when you look at some of the other great winter collections. The colour palette for tailoring and the collection as a whole expands to include deep, inky blues, crisp wintry whites and rich shades of brown and green. My favourite part of the collection has got to be the outerwear. It's usually the backbone of any great winter collection and Reiss really knocked it out of the ball park with their offering. It's a great mix of formal overcoats and trenchcoats to more casual options like quilted biker jackets and this year's breakout wardrobe favourite, the bomber jacket all presented in fresh contemporary cuts and fabrics. 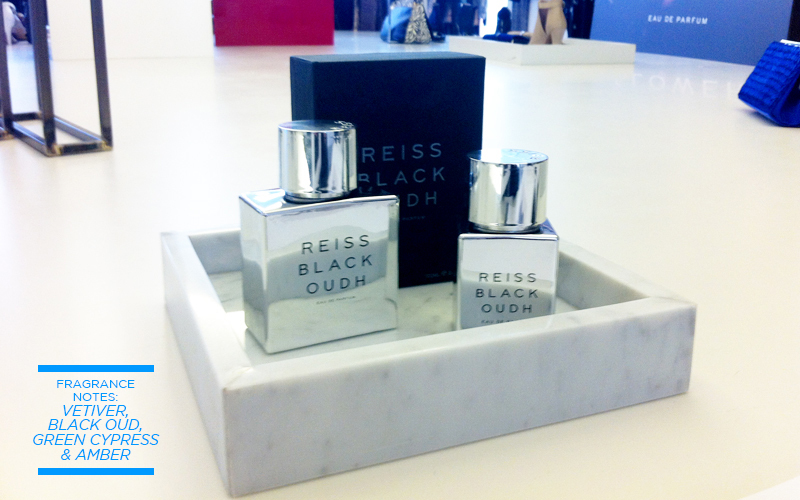 Aside from the clothes, I was really impressed with the new fragrance line from Reiss. It's made up of two perfumes, Black Oud for men and Grey Flower for women. The fragrances were created by Reiss founder, David Reiss and perfumer, Azzi Glasser. I tried both of them and I think they are truly a feast for the senses. As much as I love both of them, I preferred Grey Flower. The scent is surprisingly musky for a women's fragrance. It's not flowery or frou-frou but quite mature with a spicy kick. The perfume range took over two years to develop and from what I can tell, the outcome was worth the wait. they've got the look and feel of luxury and decadence without breaking the bank. Look out for Black Oud and Grey Flower when they launch in September. 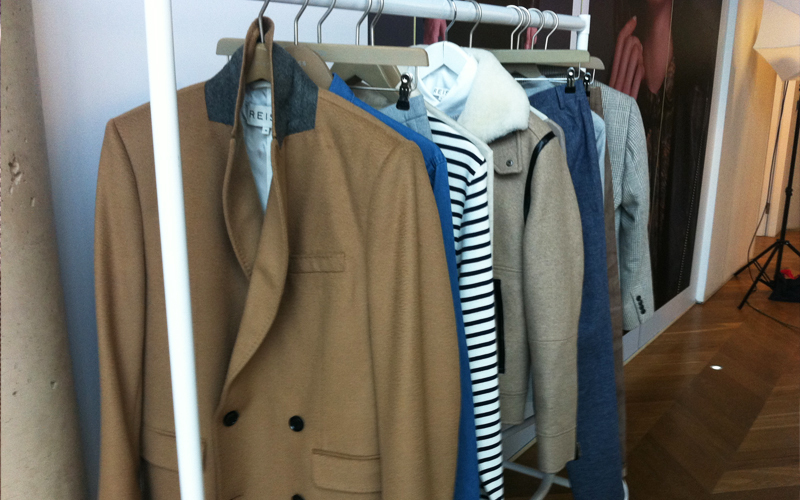 Looking back at the collection it's clear that Reiss are looking at creating timeless pieces. Pieces that will sit well in your current wardrobe and transcend seasons without looking dated. With so much disposable fashion at both ends of the scale it's great to see a brand that understands what true style is all about.